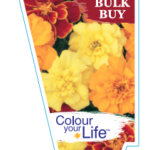 With masses of flowers in shades of carmine, blue, white and blue with white eye covering the bright green foilage. 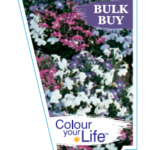 This Lobelia Mix is perfect for borders, containers and hanging baskets. 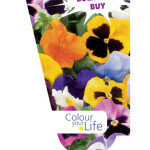 Pansy mix suited to garden and containers. 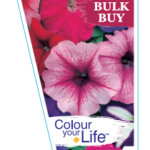 Petunia mix is a variety suited to garden and containers. 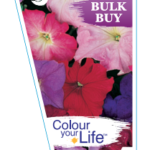 Petunia Songbirds are a collection of large flowered, lightly ruffled petunias with outstanding garden performance. 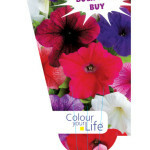 Petunia Songbird Rainbow Bulk Buy is a mix of Songbird varieties. 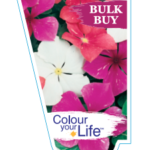 Stereo Mix produces a bright petunia mix of red, blue, pink and white, with long flowering season. 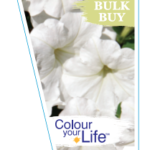 Petunia White is a large flowered, pure white petunia with good weather tolerance. 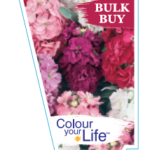 Stock mix, perfumed blooms in cream, white, lilac, copper, pink and rose. 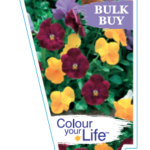 Viola mixed in solid coloured blooms.